If it’s Monday, it must be Rome! What is the first thing that comes to mind when you hear Rome? For most it is likely the Vatican, the Pope, Trevi Fountain or maybe the Colosseum. Well those are all great things about the city for sure, but what about the food! In our humble opinion one of the best things about Rome and Italy in general is the absolutely most fantastic food in the world. Oh sure, you can go to a restaurant and order but do you really get to understand the heart and passion that goes into Italian food? We don’t think so, that is unless you get your hands in and actually feel the love, guided of course by someone who an expert. 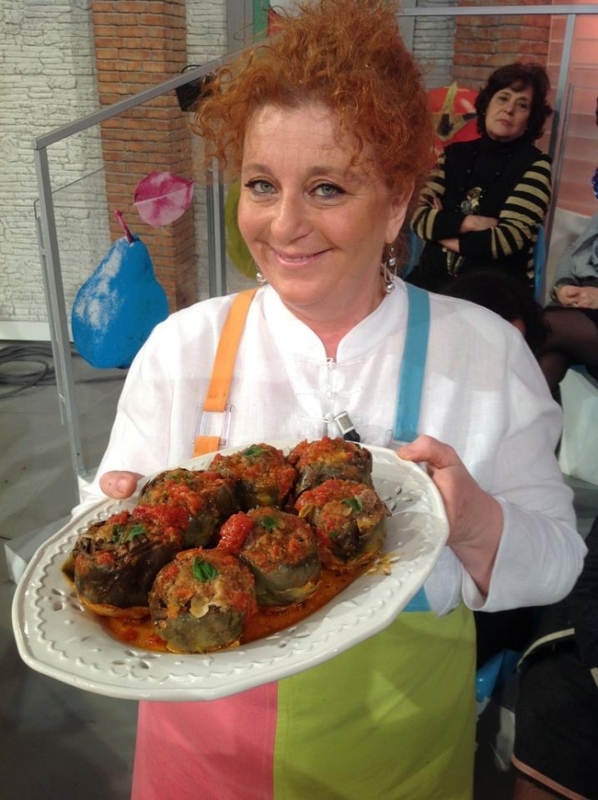 Our choice is Chef Luisa who owns a private cooking school in Rome. Luisa, knowing every secret nook and cranny of the Roman food market scene, will show you the ropes of Roman cuisine and teach your palate flavors it has never seen before. Luisa’s cooking style is inspired by Artusi Pellegrino, the most renowned iconic Italian gastronome, food critic and author of “The Science of Cooking and the Art of Eating Well”. Like Artusi, Luisa is a modern-day icon herself among the chef and culinary world in Italy and Europe. Imagine getting your hands in and creating a fantastic Italian pasta dish with Luisa’s help, then sitting down and sharing that masterpiece with her and some tasty Italian wine. Buon Appetito! In October 2014 we are hosting a group trip to Italy with Sommelier Corienne Winkels. If you missed out on our trip to France to 2013 – Here is the Video with highlights of all our activities. Italy promises to be just as much fun. This entry was posted in Europe, Food, Italy, Rome, Tuscany, Wine and tagged Culinary, gastronomy on January 20, 2014 by Paul - GetAway Travel Service.